Dhampus peak climbing is also one of the most demanded peaks for climbing. 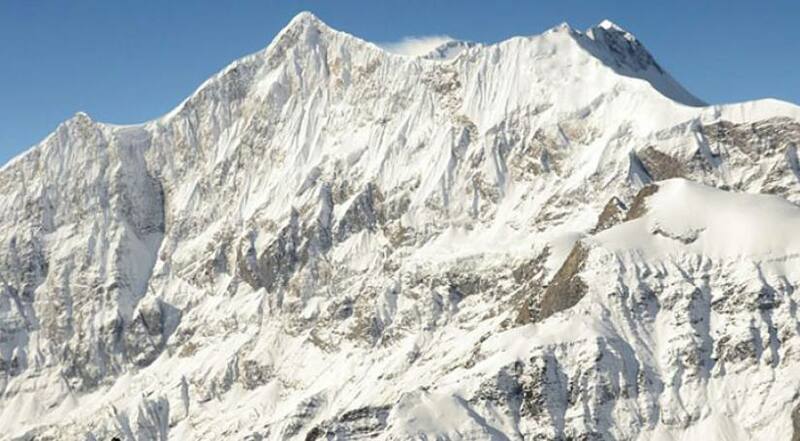 It lies at north-east of the Dhaulagiri massif. It is one of the easy peaks to ascend up on it. Dhapus peak has been an attractive mountain as that offers astonishing views of the mountains ling in the Dhaulagiri mountain region. Dhampus peak is situated in between the Annapurna and Dhaulagiri ranges, therefore why you can have magnificent views of snow-capped mountains besides having first-hand experience of making ascend up on the peak. From where you also have views of Tukuche Peak (6920m) and Dhaulagiri (8167m) right in front you. As it is situated between the two biggest mountain range, you really have a fond of your adventure, that you will have an opportunity to capture the scenes of Mt.Annapurna I, Annapurna II, Annapurna III and Annapurna IV and Annapurna-South, Similarly, you also have chance to see the Nilgiri and Tilicho peak towering above the horizon in the South. The journey to Dhamus begins from Jomsom and the route to Dhampus Peak follows the west-ridge, which connects Dhampus Pass (5200m), where we set up a camp. If you are thinking of making summit to this peak, one think you remember is that no technical climbing skills are required but you have to be physically fit and be ready to face any kinds of difficulties that might come during the course of travel. After making summit to the Dhampus peak, you return back to Jomsom from where you catch a short flight to Pokhara and subsequently, you return back to Kathmandu.